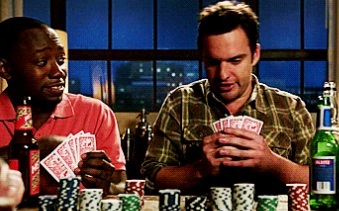 If you’re a poker player, then we have good news and bad news: you are most likely skinny and a drunk. This finding comes courtesy of a study from Jackpot.co.uk, which undertook the task of finding out which type of gamblers were the healthiest. We can tell you right now that it wasn’t slots players because they topped out at 31 on the BMI scale – well above the UK national average of 27. Poker players, on the other hand, fared much better with a BMI of 25. A good reason why is because 58% of the rounders said they exercise at least 30 minutes a day for five days a week. One more healthy habit of poker players is that they’re less likely to smoke than the average Brit. But on the downside, they did rate pretty high in the drinking category. Of course this shouldn’t come as a surprise, though, given that many poker players hang out in bars. So what is it that makes poker players largely healthier than their slots counterparts. Well a big factor is age since the average poker player/survey-taker was 38, while the average slots player was 45. People tend to gain more weight as they get older, which explains that it’s not just watching reels spin that makes slots aficionados fat. The relative youthfulness of poker players may also explain why 23% of them drink more than the UK’s recommended weekly amount. Many players spend time traveling to tournaments and hang out at bars or clubs when they’re away. Likewise, many young internet grinders like to socialize at bars since they don’t meet many people at work. In any case, it’s good to hear that the study of 2,131 gamblers found that poker players rank low on the BMI scale.